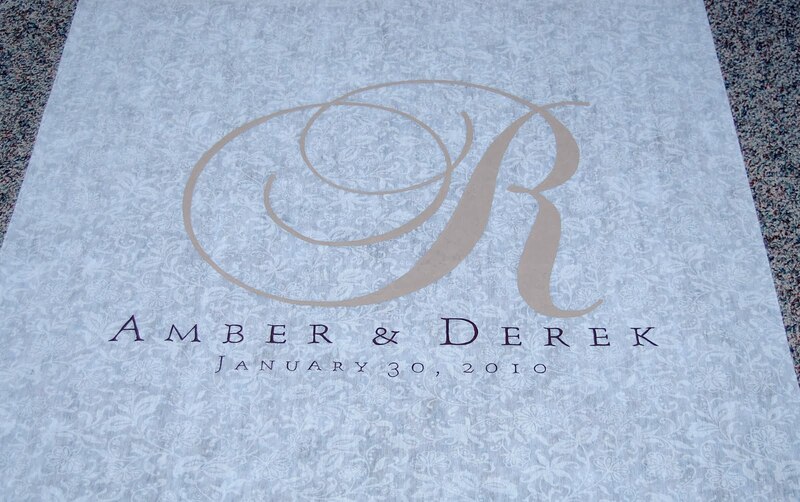 Congratulations to Amber & Derek! Your aisle runner turned out beautiful! 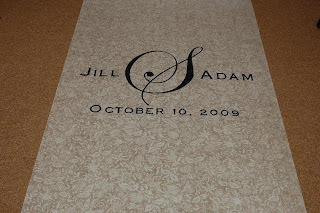 If you would like us to create an aisle runner for your wedding or special event, please email us or visit our website, www.celebrationdesigners.com. Invitation ensembles for less than $30 per quantity of 50! Greeting cards for less than $1 each! Congratulations Megan & Pat! These programs are just stunning! The program color is perfect with black text and double faced satin ribbon. Contact us if you would like us to create a similar program for you! One of our new invitation designs. The holidays are coming! Receive a 10% discount on your online order with Celebration Designers! Also receive a 10% discount on any product on our website, www.celebrationdesigners.com with coupon code 10OFF. Our Carlson Craft online store is up! We bring you a wide selection of quality personalized products at an outstanding value. Create your perfect impression and view a final proof ONLINE! You can also find us on The Knot! A Modern Take To Your Classic Event. 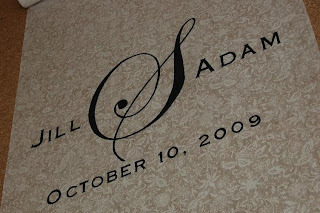 Celebration Designers custom designs all event stationery from save the dates to place cards. Let us help make your next event an unforgettable one! All clients receive a free personal consultation. We also carry Carlson Craft, Fashioncraft & Wedding Belle. We'll work with your budget! Our new website is up! Come visit us at http://www.celebrationdesigners.com/. Receive 10% off any product with coupon code 10OFF. A lovely three page wedding ceremony program created by one of our designers. 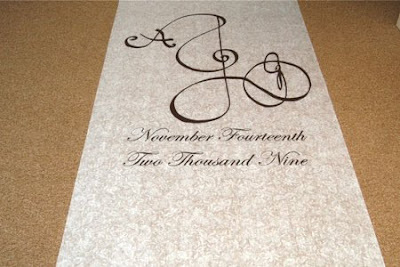 Here is a photo of Abby's aisle runner we completed. Abby came to us with a drawing of her monogram and asked us to add the date. We added the date and it looks beautiful. Congratulations Abby. Hope you have an amazing day! We're finally up and running. Our website is still under construction, but our Esty shop is here! Please visit our store to see what's new! 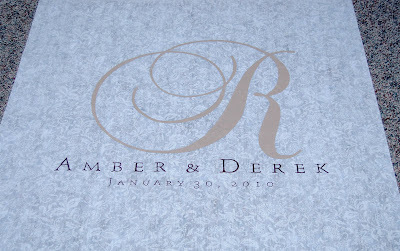 We custom design all event stationery, monogrammed aisle runners, Here Comes the Bride banners and so much more! We're working on a few projects now. Once completed we'll post them.